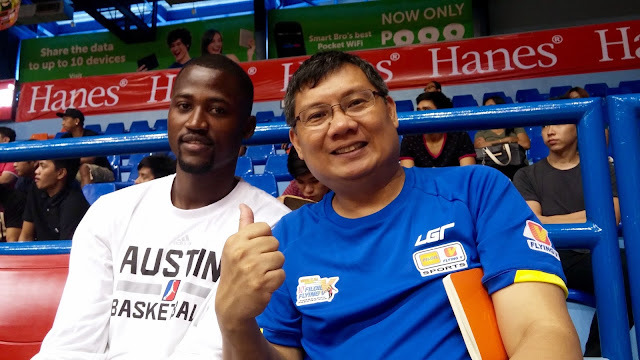 Jean Victor Nguidjol, the Cameroonian basketball player who made the news wires in the Philippines after he was selected by the NBA D-League team, Austin Spurs with the 16th pick overall during the last draft, is back in Manila if only for a few days. The six-foot-ten Nguidjol played last year for the Lyceum of the Philippines Pirates for the 91st season of the NCAA. He also suited up for the Pirates while serving his residency in other leagues. 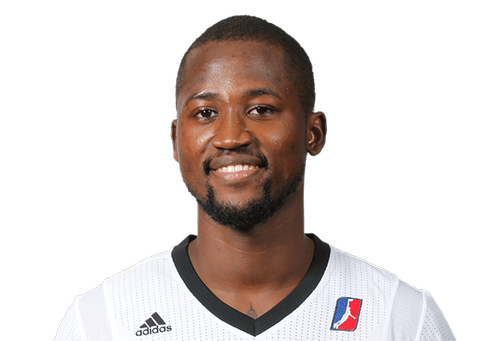 Jean's picture on the Austin Spurs' website. Keep articles like these coming. I've always wanted to know what happens to foreign (especially African) players after their runs in the college ranks. It's a shame though that we won't be seeing stories like these from NCAA players (since foreign players are no longer allowed...unless that was already overruled) in the relatively distant future.